Actor Michael Cudlitz, who starred for four seasons on “The Walking Dead,” will be Nickel City Con. 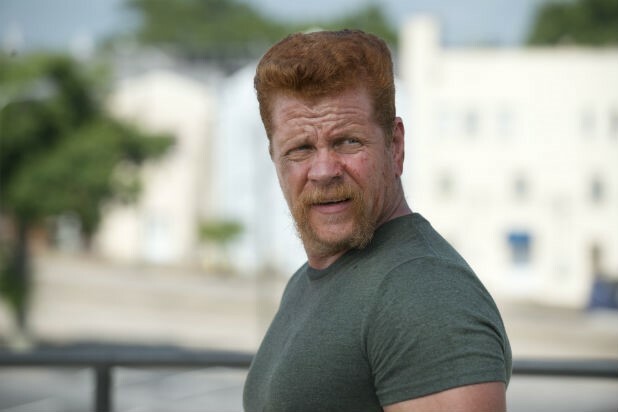 Michael Cudlitz, who played fan favorite Abraham Ford on "The Walking Dead" for four seasons, is the newest addition to the growing Nickel City Con lineup. Cudlitz joins previously announced convention guests including Sean Patrick Flannery ("Boondock Saints"), David Naughton ("An American Werewolf in London"), Tony Todd ("Candyman," "Transformers"), Brittany Daniel ("White Chicks," "Joe Dirt"), puppeteer Brian Herring (BB8, the porgs from "Star Wars" movies) and wrestlers Kevin Nash, Scott Hall and the tag team Demolition. The pop-culture convention, produced by Dave and Adam's Card World, takes place May 17 to 19 at the Buffalo Niagara Convention Center. Cudlitz, now starring on the ABC sitcom "The Kids are Alright," will appear at Nickel City Con on May 18 and 19. He also starred in the HBO drama "Band of Brothers" and the Peabody Award winning drama series "Southland." “Child’s Play” with actor Alex Vincent, 7 p.m. May 16. “Friday the 13th Part VI” with actor C.J. Graham, 8:30 p.m. May 17. “An American Werewolf in London” with actor David Naughton, 7:30 p.m. May 18. Convention hours are 3 to 8 p.m. May 17, 10 a.m. to 17 p.m. May 18 and 10 a.m. to 4 p.m. May 19. Early-bird tickets are $15 for May 17 and 19 and $25 for May 18. Three-day passes are $40 adults; $5 for ages 10 and younger. A three-day flash pass is $75 and includes early entry and preferred seating (except for paid/ticketed panels). Autographs, photo opps and VIP experiences are extra and will be announced. Tickets can be purchased via the website and at the door.